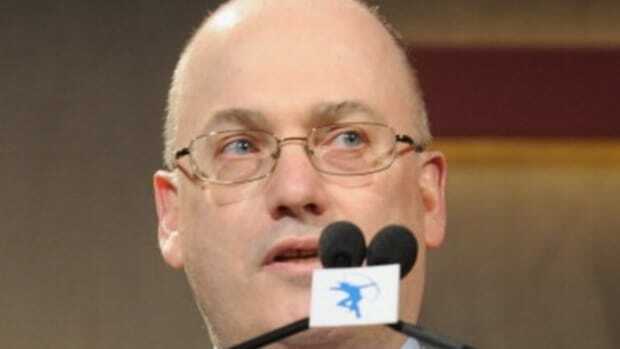 Steve Cohen tried to sell you his apartment. Really, he did, and quite hard. First, in the spring of 2013, at $115 million, which represented a 379.16% on the $24 million he paid in 2005. But no, none of you would even take a nibble. Not even to humor him. Then, he said fine. I&apos;ll take a 308% return, and offered it to y&apos;all basically on a silver platter at $98 million, circa January 2014. But nooooo. That didn&apos;t work for you either, nor did $82 million 11 months later. And that hurt Steve, it really did. So he took it off the market. Did some soul searching. Fired his brokers. Came back a refreshed man last summer and said, okay, $79 million, I&apos;m giving it away at this price but that&apos;s just the kind of guy I am. But $79 million wasn&apos;t good enough for you people, was it? Didn&apos;t work for you. Not before he offered to do the tours himself, demoing how the Viking range works while whipping up his signature scrambled eggs, and not after. Apparently $79 million, the monetary equivalent of Cohen literally begging you to please, for the love of god, buy this apartment, was still too high. You wanted to see just how low you could get Steven to go, until he was a shell of his former self saying, fine, just give me $59 million and we&apos;ll call it even, I can&apos;t do this anymore. And then what? Would you have bargained him down further than that? Don&apos;t answer that because you ain&apos;t gonna get the chance: the apartment has been off the market since December and who knows if it&apos;ll ever come back. That&apos;s right, YOU BLEW IT.